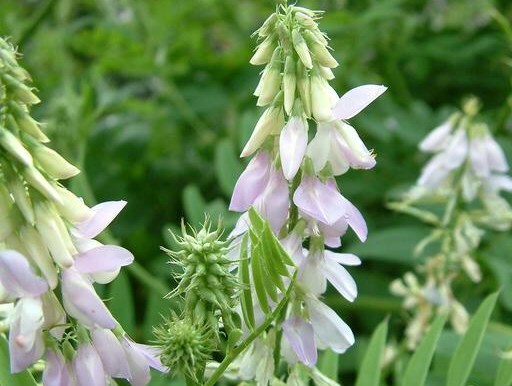 Galega officinalis (professorweed) is a perennial /subshrub (family Fabaceae) with white to purple flowers and thin narrow leaves found in northwestern California. It is native to the Middle East. It favors grasslands and riparian and bottomland habitat. It reproduces by seed and is spread in animal manure, irrigation water, and through agricultural activities.